It's Christmas Eve and all the presents have been wrapped, all the parties have been attended, and the busy season has almost ended. Are you worn out yet? 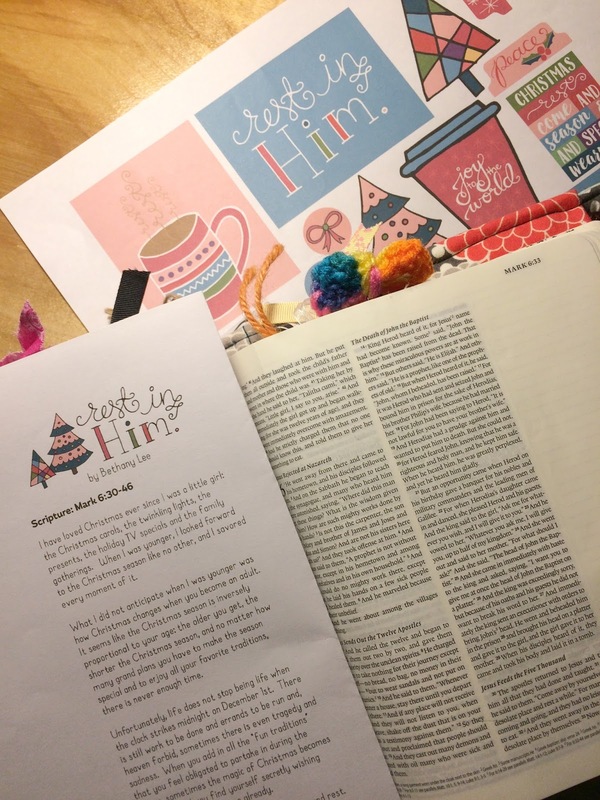 If so, then my friend Bethany, at Pitter and Glink has created the perfect devotional for you! 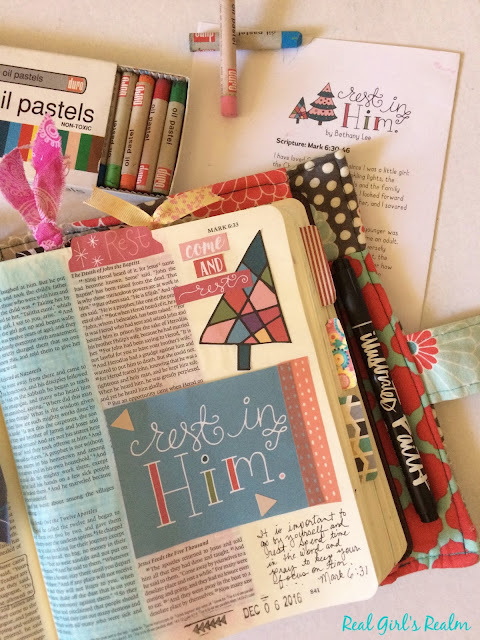 It's called "Rest in Him" and she even designed some of the cutest printables to download...all for free! 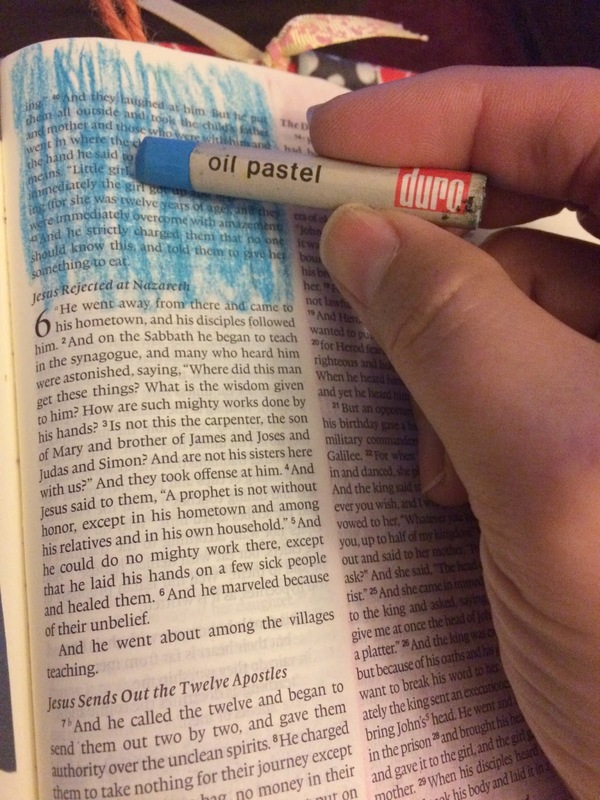 I started by coloring my page with pink and blue oil pastels. 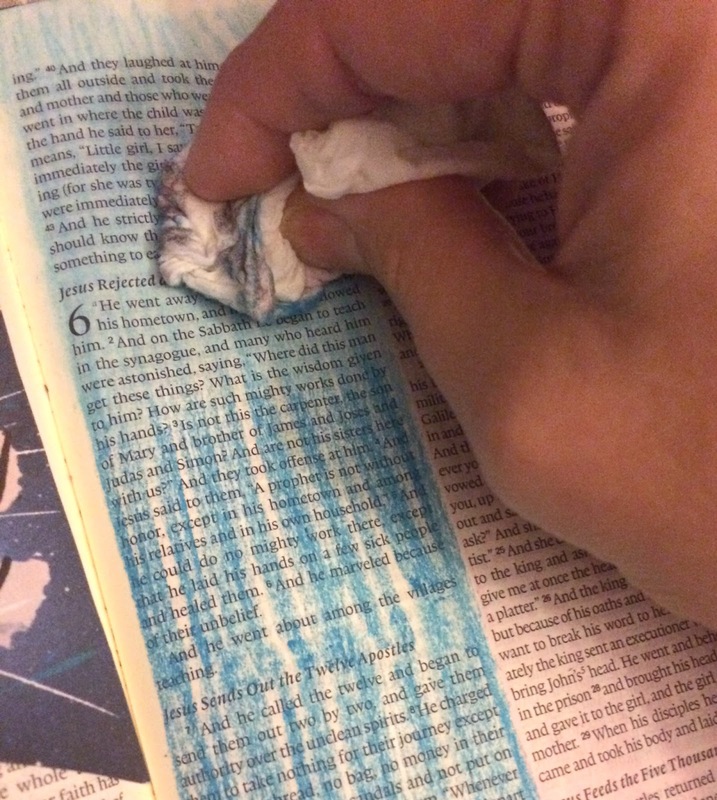 I used a paper towel to blend the colors and keep them from bleeding onto the opposite page. 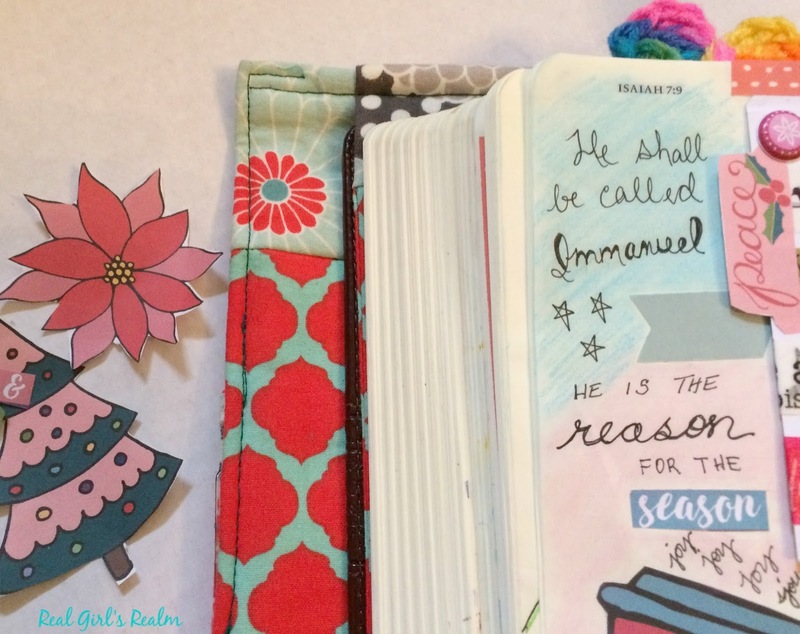 I used washi tape to make a tip in with the "Rest in Him" card and glued the "Rest" tab to the top of my page. 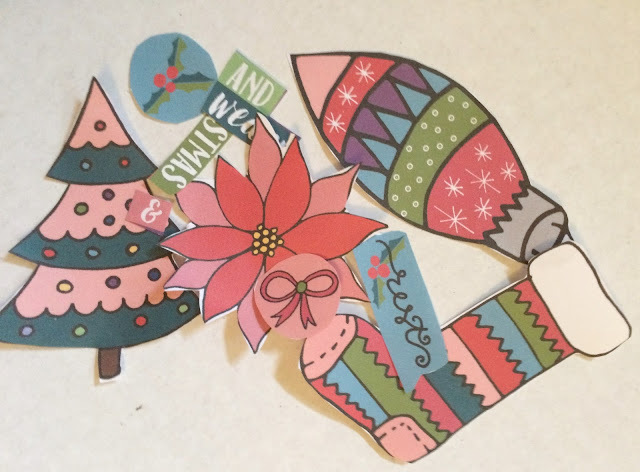 I also glued in the tree and some of the words, along with journaling some of my thoughts. I finished it with a date stamp at the bottom of the page. Here is a second page I created in Isaiah using some of the printables. 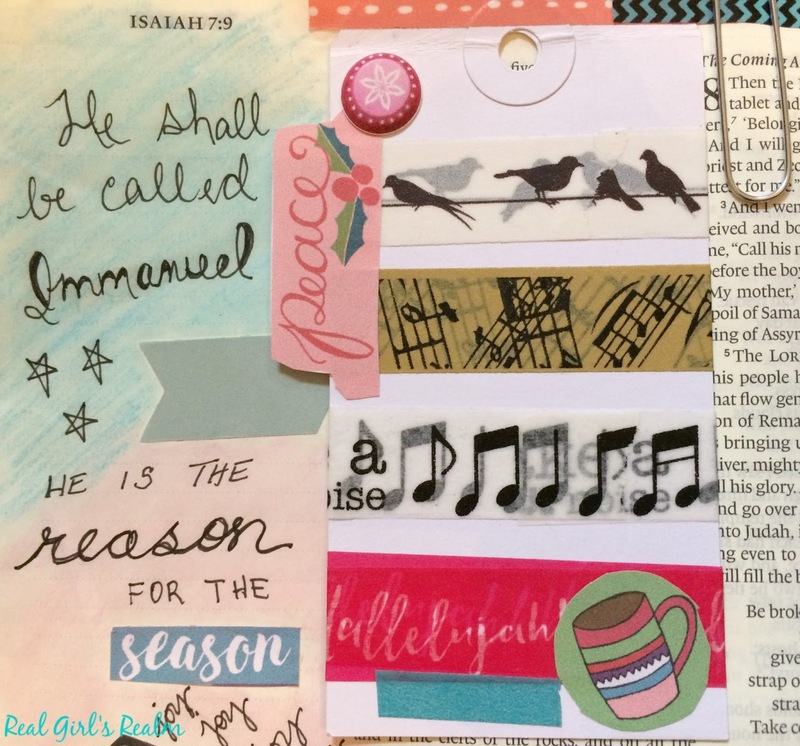 For this page, I used a card decorated with washi tape, as a tip in. I also added the "Peace" tab to the edge of the tip in, using some glue. I hope this has inspired you to take time to rest and create your own page using this devotional! Head over to Pitter and Glink to get your free download. If you share it on social media, use the hashtag #restinhimdevo so we can see it. 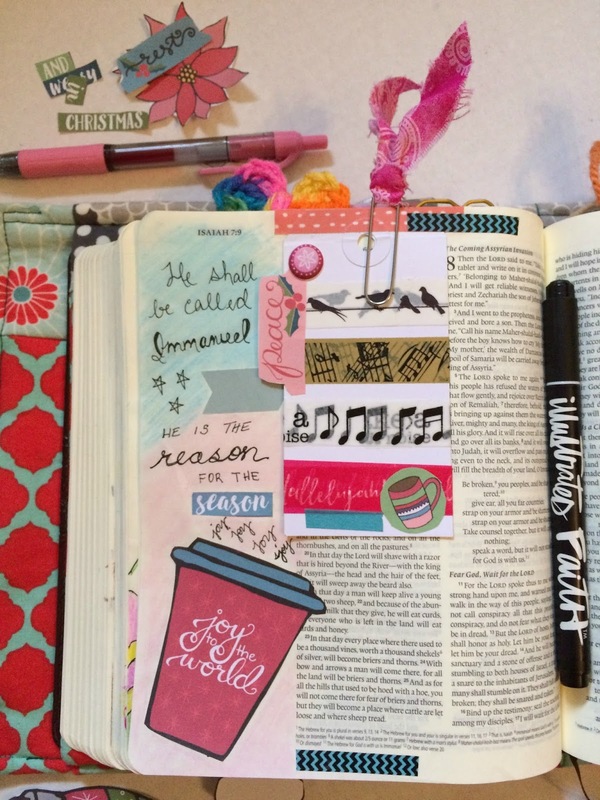 Make sure you are following me on Instagram for more Bible Journaling inspiration!